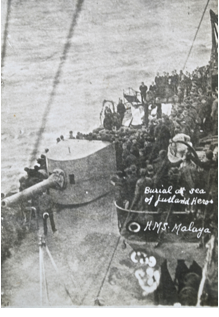 One of the four Queen Elizabeth class battleships at Jutland serving under the command of Vice Admiral Sir David Beatty, the Malaya was heavily damaged at the battle but « gave as good as she got ». 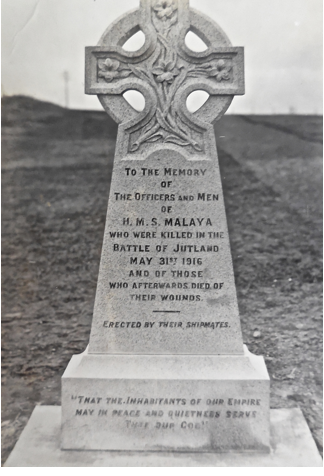 “5th Battle Sqn to Jellicoe – Permission for Barham & Malaya to commit some KIA to the deep. Reply: Approved”.